Spring cleaning doesn’t have to be a scary beast that takes days or even weeks to tackle. It’s also not limited to your bathrooms, bedrooms and living spaces (although those are still important). Tech is just as big a part in our daily lives, if not more than ever, which is why this guide also dives into the clean-up of your gadget life as well. Follow the simple spring cleaning tips below to get back to living your cleanest, most organized life possible in 2018. 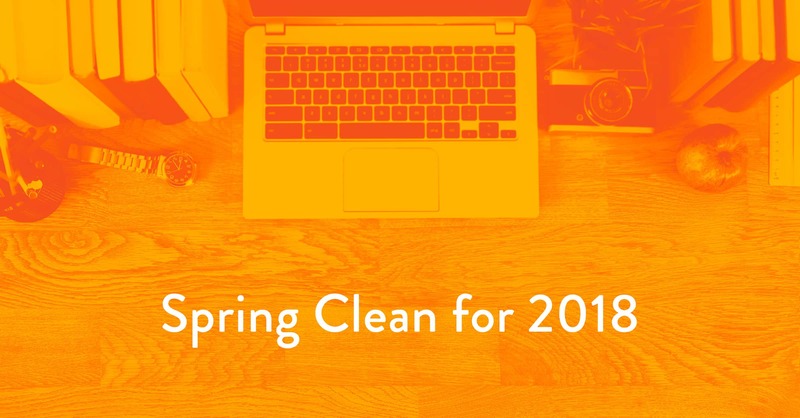 The most obvious place to start your spring cleaning is the home. 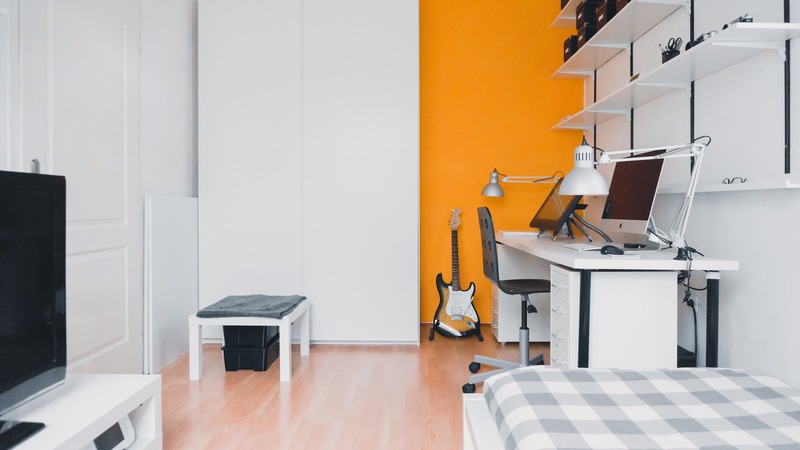 Bathrooms, bedrooms, closets, kitchen, you name it – there’s an opportunity to let your inner neat freak shine in every part of your living space. Donate clothing and household items you haven’t used in over a year. Waiting this amount of time pretty much justifies there won’t be another need for this item in the upcoming year. Throw away unusable items. If you wouldn’t gift it to an acquaintance, chances are no one else wants or needs it. Shred ANY document with your personal info on it. Any old bills, letters, envelopes or statements should be shredded to protect your identity. Make money off of old, unused or broken tech. Gazelle offers money for gently used – and sometimes even broken – devices! If you’re looking to dispose of any tech, ecoATM is a good place to start for responsibly recycling. Another helpful spring cleaning tip is start from the ceiling and work towards the floor. Whether you’re washing windows or dusting, this insures that any dust or debris will fall downwards and limit any re-cleaning. The same idea works for the direction in which you clean throughout the house: start on one side and work your way over. Working through each room one at a time reduces your chances of getting flustered and starting new projects in different rooms. Ever noticed how your phone slows down over time? Or the dirt and grime that collects in the crevices? Too many unused apps, duplicate photos and videos can have a major effect on the speed of your phone. Additionally, we interact with our phones dozens to hundreds of times a day, each time transferring germs and debris that we carry on our hands. Remove your case and screen protector to deep clean your phone. This is where the most dirt and skin oils collect, creating a breeding ground for germs. Check out our helpful guide on how to keep your iPhone in good condition with proper cleaning. Clean your headphone and charging ports. These little nooks on your phone can grow quite the collection of dirt, sand, make up or anything really that comes in contact with it. We’ve got the low down on how to clean both the Galaxy headphone jack and how to clean the iPhone ports. Delete apps you don’t use. Whether it’s that coloring book app your friend made you download or that fitness app that hasn’t been touched, toss it. These apps take up space on your phone, causing it to slow down even when you aren’t actively using them. Back up your important files. Photos, files, music and whatever else you may have, back it up. Not only does this offer a second place to store what’s important, it also allows you to free up space on your phone. Check out our video guide on how to back up data on your iPhone. Similar to the functionality of your phone, a computer needs the same TLC when it comes to cleaning and decluttering. Follow the same tips above, taking precaution with cleaning the screen and surface. You can also organize your desktop so that all of your files are in the proper places and easier to reach when needed (hello, productivity). You should now be ready to conquer 2018 with freshly cleaned and organized finesse! If your tech still isn’t working properly, browse our inventory of gently used tech for less and cash in on your old, unused or even broken tech. Comment your own spring cleaning tips below. QUIZ: Which Phone Are You?